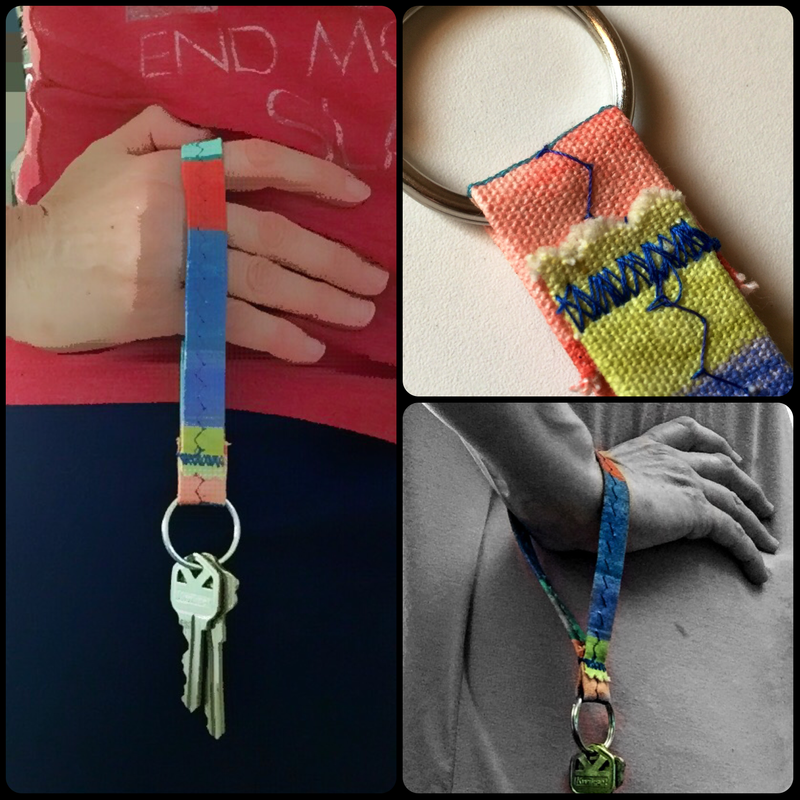 I finished my friends bag over the weekend and as another little gift for her, I made this key chain wristlet out of some of the leftover material from her bag. Really easy to do and I’m reusing pieces of material, so less waste to the landfill. Win win! I found a fairly long, thin piece of material to use, about 12in/30cm long and about 3in/8cm wide. I used picking shears to cut the material, to make it a little fancy and to keep stray threads at bay. Fold over the long edges so only the right sides of fabric are showing, and fold them over so they overlap each other. 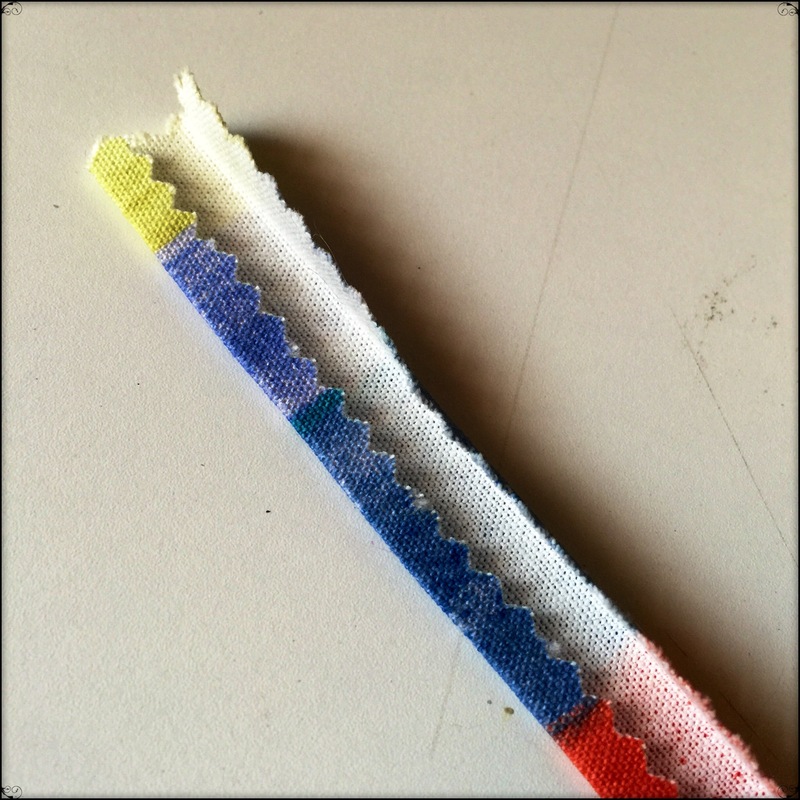 One of your folds will be wider than the other to cover the raw edges. 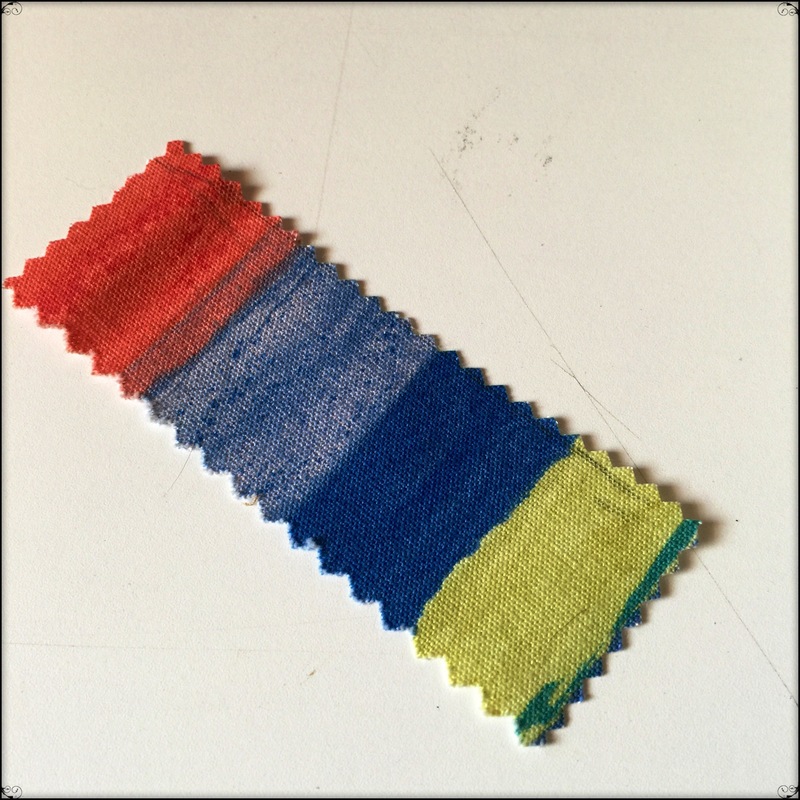 Iron them flat, or as flat as possible, depending upon your fabric. This fabric here is a heavy duty thick cotton that was from a book of upholstery swatches. Fold over what you just ironed and pin in place. Stitch together. 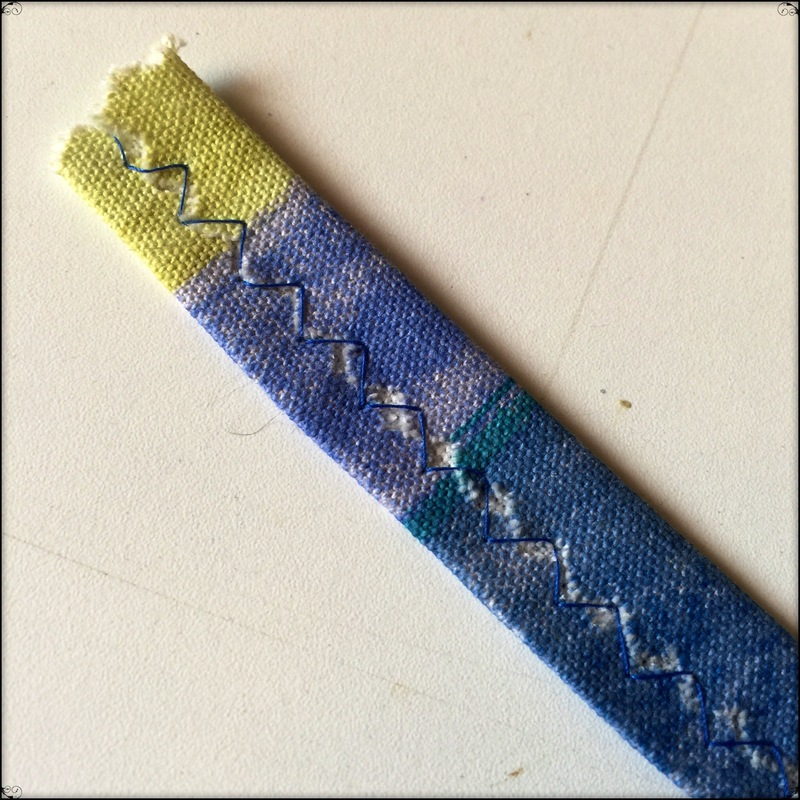 I used a wide zigzag stitch to catch both sides of this piece and to complement the zigzag edges of the material. 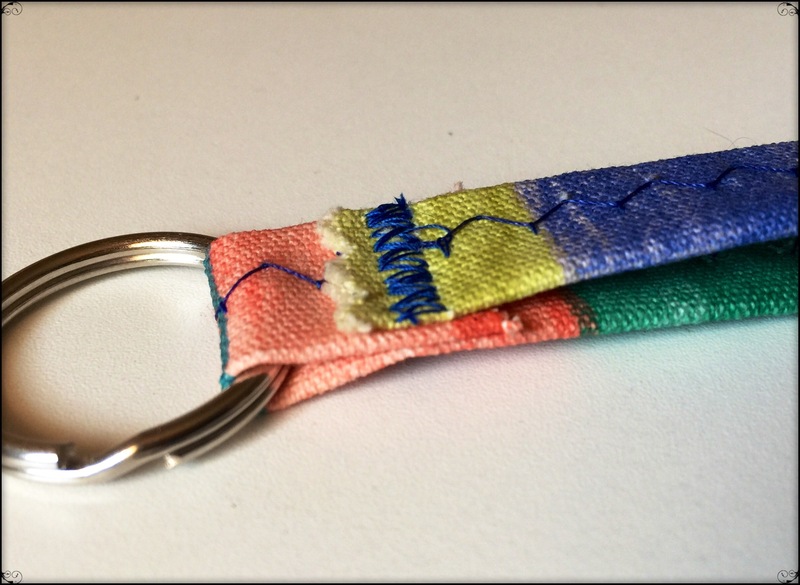 Grab your split ring (key ring) and fold one of the short edges of your material around the ring. 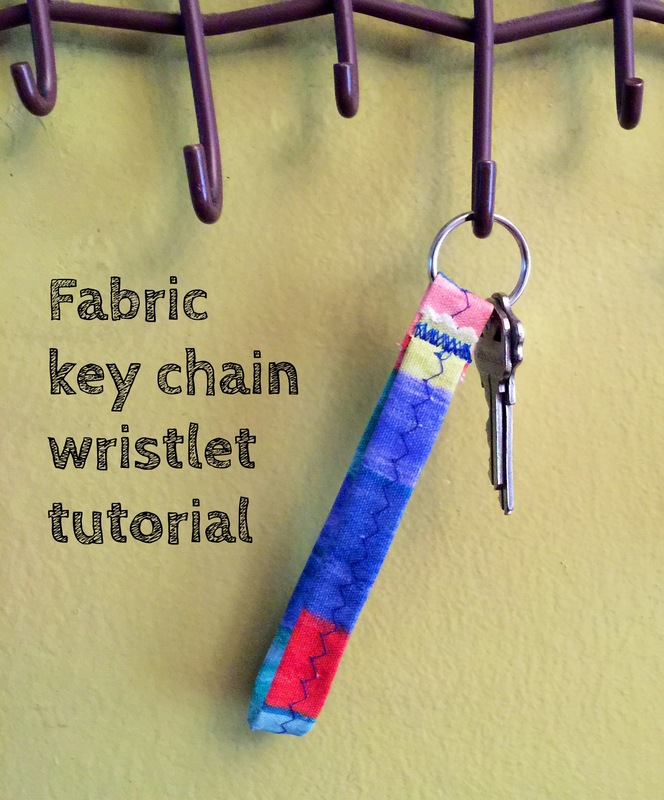 Take the other free short edge of material and place it over the short edge that’s around your key ring. 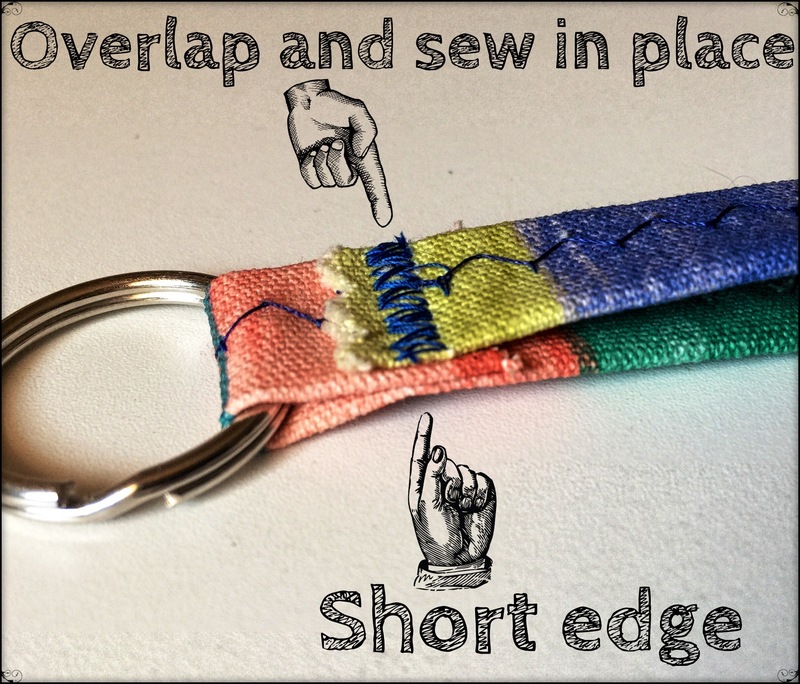 Sew those short edges together. And there you have it! Simple and easy. Now you try.